We service all makes and models of electric swimming pool/spa heat pumps. We carry almost ALL parts in stock for ALL heat pumps. Water pressure switches, capacitors, temperature sensors, defrost sensors, etc. *Heat pumps contain refrigerant and should only be repaired by EPA certified technicians. 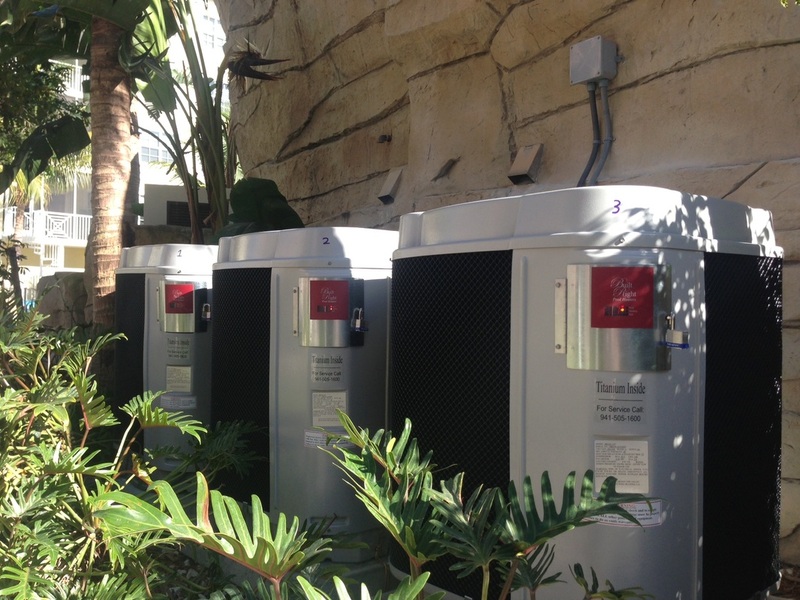 Scheduling priority given to commercial pool heat pumps. Technicians are trained & understand commercial water flow and vacpak systems for proper heating of commercial pools. Experienced in handling multiple heaters on site. Fully licensed and insured for commercial property pool heat pump repair. We work closely with vacation properties, property managers, home owners and condo associations. No hassle scheduling. No need to meet anyone on site as long as the equipment is fully accessible. Done Right Pool Heating & AC Inc. does not sell and install pool heat pumps. So our customers will never have a "salesman" repairing equipment. Our technicians main concern is to provide quality, honest service at reasonable rates. The age and condition of the pool heat pump is considered before extensive repairs are recommended. We repair all brands of electric pool heaters! Copyright © 2015 Done Right Pool Heating & A/C inc., All Rights Reserved.